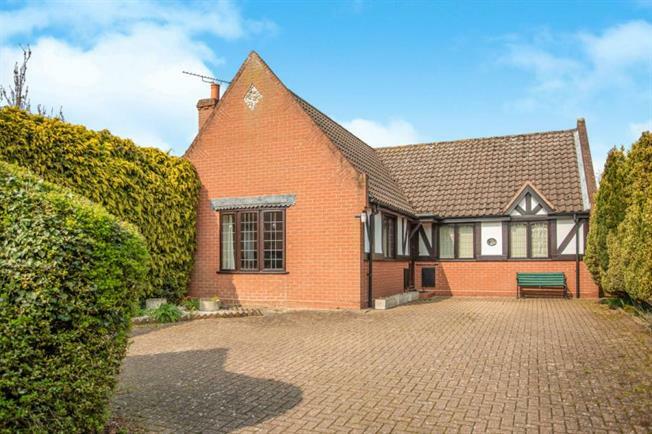 3 Bedroom Detached Bungalow For Sale in Norwich for Offers in excess of £325,000. Ideally tucked away within the close, you enter via an ample driveway allowing parking for several vehicles and access to the detached double garage. Stepping into the welcoming entrance hall, you access the spacious sitting room which overlooks the front aspect. A separate dining room, kitchen and utility leading to the conservatory enjoying views over the private garden. All three bedrooms lead from the inner hallway in addition to the family bathroom, and the master bedroom benefits from an en-suite shower room.